Starting next week I’ll be revisiting some of my favorite products I’ve reviewed in the past and seeing if they still have the same ingredients as before. I’ll also style my hair in the same style I did previously to see if I still love them as much as I did the first time around. To get things started I wanted to revisit Denman Brushes. Before I tried them out, I hadn't tried any other tools in my hair besides a basic brush (for my puffs), rattail comb (for parting my hair), regular comb (for smoothing products through/having an even distribution amongst my strands) and wide tooth comb (for detangling). 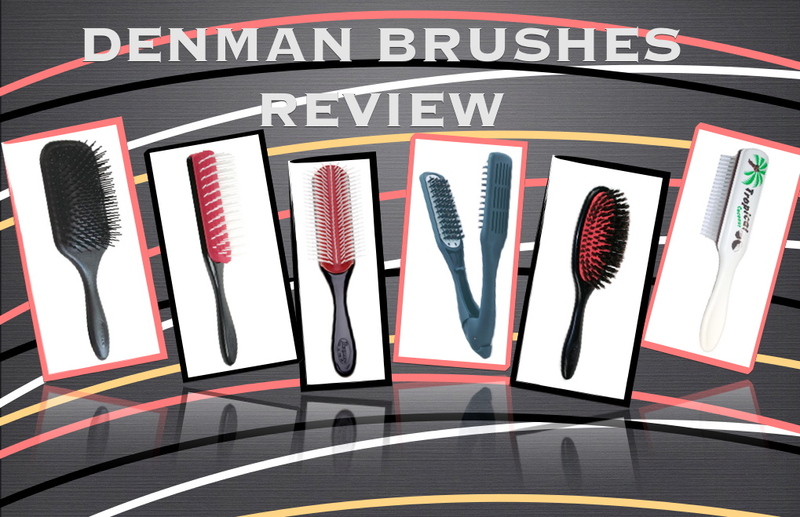 Once I reviewed all the brushes in June of last year, I knew I liked them a lot, but of course I had my favorite. 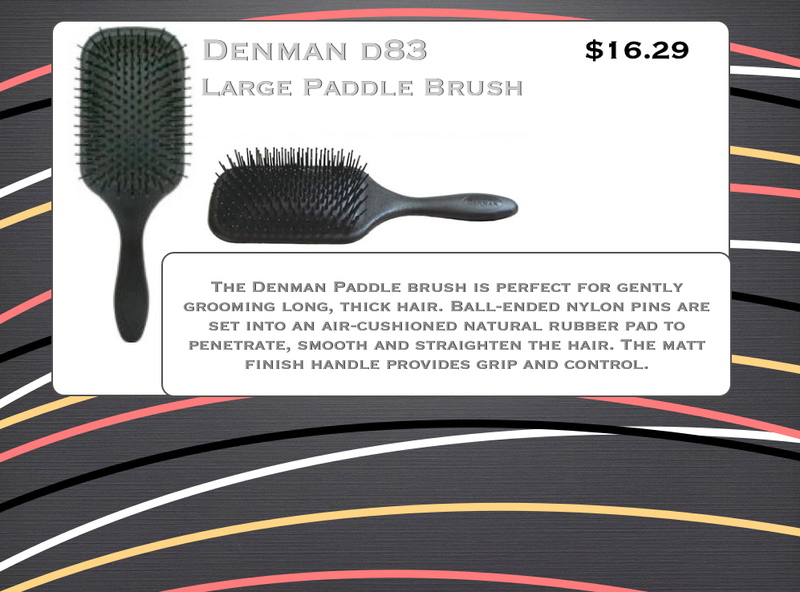 And that brush happened to be the D83, the paddle brush. This seemed to be the answer to all of my detangling nightmare sessions. I never had another one of those episodes once this paddle brush came into my life. But once I left this over my sister’s house after a few days stay at her place in August, I didn’t see this thing again until last month. I’m not going to lie. Picking up my dusty wide tooth detangling comb was heart breaking, but after a while I didn’t even remember my paddle brush. In fact, I didn’t even think about it until my sister returned it to me last month. I thought immediately I would start using it again since we were reunited, but it just stayed on the same table she left it for weeks. And now I know why. Since the paddle brush did such an amazing job at detangling my hair, I realized I started to lose patience with my hair all-together. Everything became a rush. Before using the D83, I would detangle my hair from tip to root, but I found myself going from the middle to root since the Denman plowed through my tangles with little to no effort. 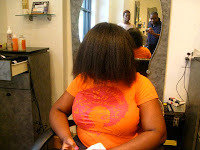 Over time I realized the ends of my hair had suffered severely. When I went to Atlanta in July of last year for the Huetfiul Hair Idol Rock Star Treatment/Photo shoot, I got an amazing trim from Robin Groover at Too Groovy salon. My ends looked so much better. Even Myleik (PR rep for Huetiful) mentioned “Oooh girl you needed that,” in the video of my visit because the before and after shots were remarkable. So with that being said, it’s a good thing I left behind this “miracle brush” a month later at my sister’s place. I would still recommend this brush for someone who’s having detangling issues, but I would advise them not to lose their mind like I did. 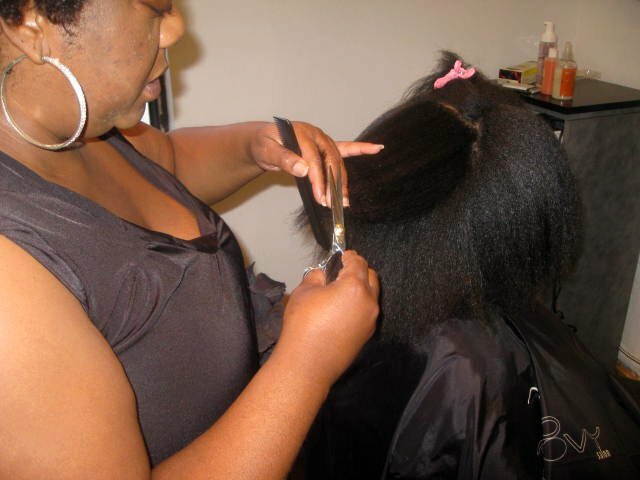 Hair still needs to be cared for as it is fragile, especially the ends of our hair! But this thing had me thinking that everything is meant to be easy breezy and I became careless. If you can refrain from doing that with this in your hands, go for it! After the paddle brush went missing, so did the others (D4 & the D41. I gave the D3 away in a giveaway). I have no idea how or why I misplaced them, but as a result, I started using combs again. I recently found them and will begin to use the D4 as my “even product distributor” as it does a far better job than a comb ever could, but I have no real use for the D41. I only use these brushes when the time calls for them and that is very rare. I use the D82M whenever I need to slick my edges down (hardly ever) or when I want to slick my hair into a puff or a bun. 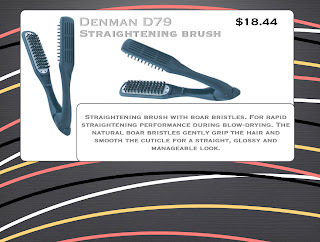 I also use the D79 when I blow out my hair. Does it work better than a comb attachment? Now that I don’t know, but since I don’t own one anymore, and the one that I did own was snaggatooth to all hell, this does a good job for me. Lol. 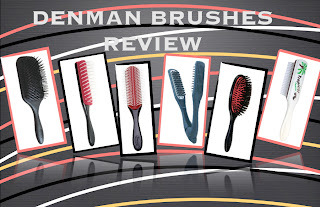 Do you use still use a Denman brush? Let me know which one and for what style/job. I remember how stoked you were to get those brushes lol :o) I never realized that they ultimately led to damaged ends for you because of their ease of use though =(. I do wish that when we made our vid of me "TRYING" to dry/de-tangle your hair, that I had these awesome tools to work with as opposed to your "snaggatooth to all hell" blue comb lol. Good times... Great post babe! Thanks for sharing. I remember that vid and your love for that paddle brush. I like follow ups like this of products. It's like the second part of that review. 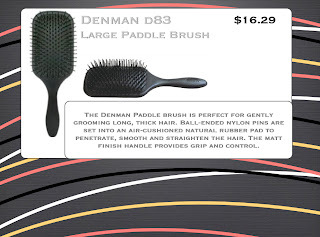 great incite about the Denman brushes, I am a new transitioner and have become a product junkie! I've bought products but threw them away because of mineral oil and other harmful ingredients! Chary Jay you just saved me some money chic! I've been doing a good job getting the tangles out with my wide tooth comb and I don't want to damage my hair with harmful methods. Thanks again chic, I love this site. It's so funny that I stumbled across your blog tonight. I immediately began to read the articles and scan thru your page b/c earlier today I saw one of your videos on the CurlyNikki site. It was a video where you did a how-to on a style that only required 2 strand twists. 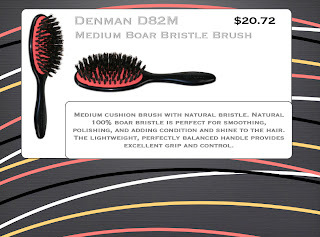 I've never used a Denman brush before, but I had been contemplating getting one after seeing so many people talk about them. After reading this post, I don't think I'll be getting one anytime soon. I think I'm doing just fine with my wide tooth combs. I went to Sally's and brought 2 brushes that I literally had to hunt down (LOL). Worth the $20 bucks that I spent on them. detangling made easy. the hard plastic brisles are great. Love the Denman Brushes Tutorial. Chary Jay love following you on diffent outlets. Thanks for making it fun to play with natural hair. "Keeping It Natural".